Please see theme documentation for how to install WordPress themes. Please note that max allowed attachment size is 200 KB as stated in reply form – make the image smaller (maybe use JPG file format) and reattach it again. Your live website is perfectly fine, using my Modern theme. Right… I just expected it to be like the thumbnail. I’ve had a very stressful day with Siteground, and trying to get to grips with WordPress. If your Reykjavik theme wasn’t so incredible, I’d have given up by now. All I want is a bit of “skip”! The theme thumbnail is a screenshot of a theme demo website. But otherwise it is the same as your website, it uses default settings of Modern theme. 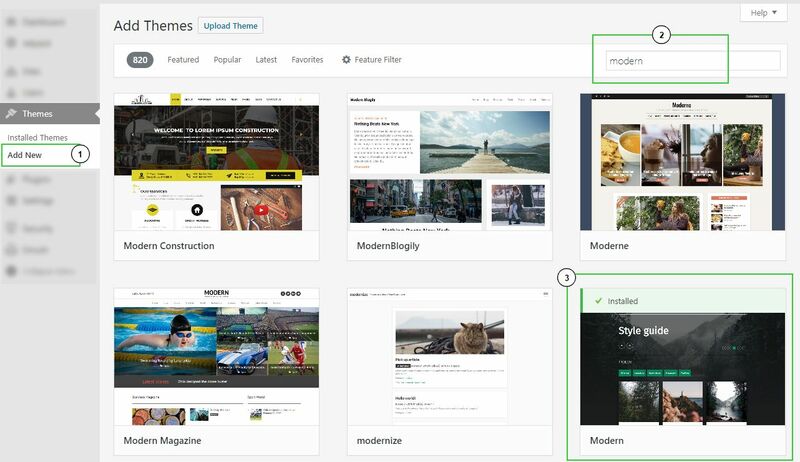 If you want, you can install theme demo content as described in theme documentation at https://webmandesign.github.io/docs/modern/#demo-content This procedure is the same with all my WordPress themes (and actually with any other WordPress theme too). Please understand that theme could never force installation of demo content upon theme activation. It is not even allowed by WordPress theme review team from obvious reasons – not all users want this and it might mess up a content of existing website. If you are new to WordPress, please watch tutorials and see resources mentioned in “First Steps With WordPress” of theme documentation. By the way, all my themes contain a “Welcome” page. After you install and activate the theme, there is a notification displayed that will redirect you to the page. Welcome page then provides a brief setup guide. You can find it under Apperance → Welcome.